When backpacking for your next hiking or camping trip, you don’t just pack a bit of food, clothes and a sleeping bag. 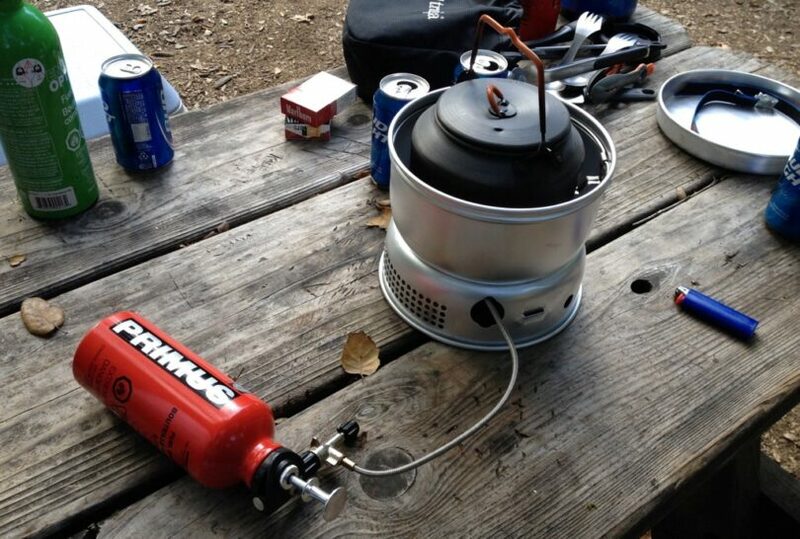 Hikers and campers almost always need to boil water or cook some easy meal. 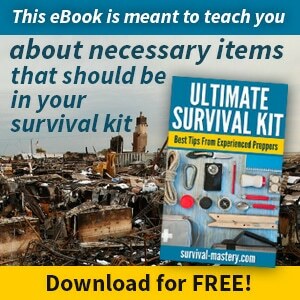 This means that they need a camping or backpacking stove. These are usually small, compact and light-weight and take little space in your backpack. These are the benefits. When it comes to the downsides, there are several too. After all, the manufacturers have to sacrifice this or that in order to achieve the compact shape and low weight. Backpacking stoves don’t usually have capacity for more than 10-20 cooking rounds, and you need to pack a spare canister if you’ll be hiking for days. Also, it’s a bit hard to balance large pots on a small stove. Overall, these negative sides are too insignificant for the positive effects of packing such a stove. You will more enjoy the benefits and ignore the discomfort of the small stove. 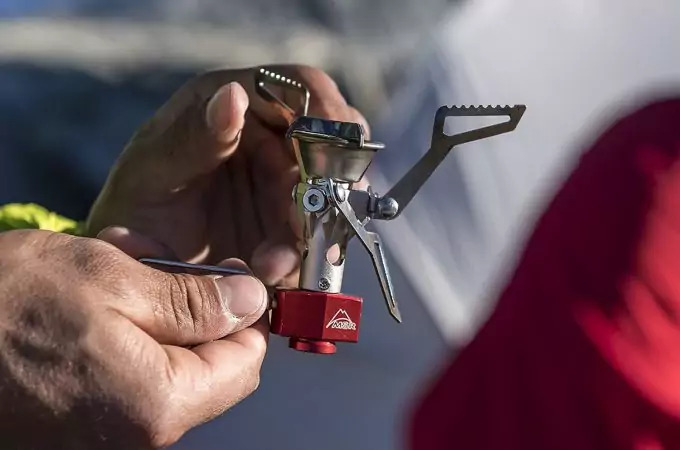 In this article we will present to you the best backpacking stoves you can find currently on the market, and which many experienced hikers have relied on successfully. In the following list you can find the best stoves currently available. The price, quality and features are different so that you can find the best for your own needs. This little compact stove can become a favorite to you – it’s light, small and compact and doesn’t cost as much as the Optimus Nova+ does. The Crux Lite is, as the name implies, lighter than the original Crux model. To be sure it will be lighter Optimus have kept the head non-foldable, thus saving weight and space. The stove itself does fold though, which is great for compact backpacking. Among all the available stoves, Crux Lite is the best foldable stove you can find. If you use Optimus’ own 220g canisters, it will take you up to 60 mins cooking time until you run out of gas. To boil 1 liter of water, you need about 3 minutes. The duration will vary according to the climate, temperature and altitude you’re at. The stove needs propane/butane for fuel. The entire stove is made of sturdy aluminum and steel. The flames, according to most reviews, are nicely spread so that you can use both narrow and wide pots or pans. There is of course the option to regulate the flame, although whenever you want to turn it up or down, the valve closes and opens every time you do that, so you have to spend a few minutes to get the right flame. This could be the only downside to this stove. As a whole, it’s a perfect balance for the money you pay and quality you get. Thanks to the titanium and aluminum used for the construction of this stove, the weight is insignificantly low – about 2 oz. You will need to purchase the canister separately as it doesn’t automatically come with the stove. For the fuel you need to use propane isobutane mixture, which is what Snow Peak offer. When it comes to the weight, one customer believes that the storage bag is heavier than the stove itself. This can be an invaluable feature for hikers and backpackers, especially when you have to rely on carrying some heavier items like sleeping bags, water and food. According to some other customers wind doesn’t affect the flame, because of the windscreen, which performs great. You can also very easily adjust and control the flame. It’s not as tricky as with the Optimus Crux Lite. Other customers have experienced difficulties keeping the flames. Also, they are wide-spread and thus you can’t use smaller pots or pans on it, since they won’t hold. That’s something you should keep in mind before you purchase it. Overall, the top feature of this stove is that it’s extremely lightweight and this is it’s biggest strength. 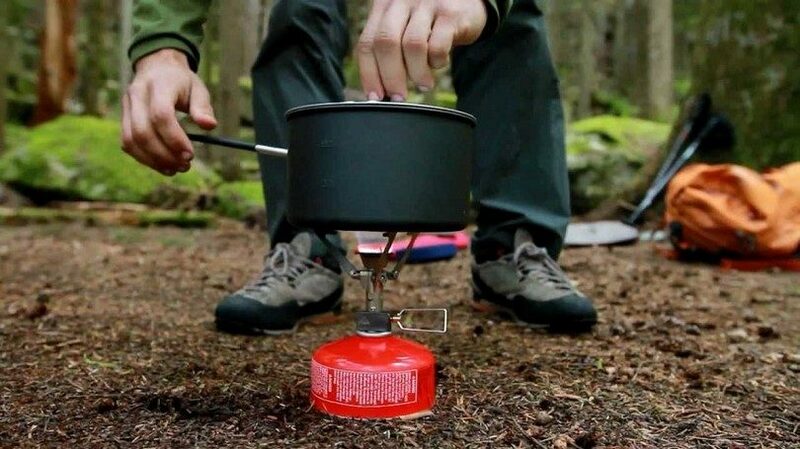 This incredibly small and compact stove is almost as large as a man’s palm. It barely weighs 3 oz and has the ability to boil 1 liter of water for no more than 3-4 minutes at sea level. It requires no special maintenance, pressurizing or priming. There is of course an adjustable switch for handling the flame and controlling the simmer. The Windclip wind shields are of three sections and successfully protect the flames from the wind. The total burning time is around 60 minutes, if you use an 8-ounce/220-gram canister. When it comes to the capacity of the stove, one customer recommends boiling no more than 2 liters of water at one go, because the weight of the pot can overturn the stove. This is understandable, because we’re talking about a compact and small stove, but you may want to keep that in mind. 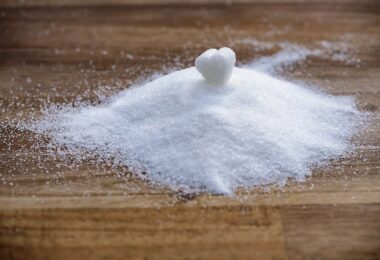 In his regard, it may be inefficient if you want to cook meals that require longer cooking times, but if it comes boiling water or snow, including warming water for dry food, it’s working perfectly. Overall, many customers have used this particular model for many years without reporting any failures or problems with it. It can efficiently be used in sub-zero temperatures, and even if it’s wet or moist. 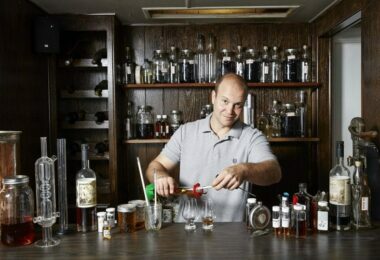 One customer even submerged it in cold water by mistake, and yet managed to start fire within minutes. As this is an MSR product, you can make a better choice. This stove has a multi-fuel ability, which makes it flexible for different uses. It’s fully-featured and durable enough for harsh conditions. It uses a fuel line, which is another reason why it’s so flexible to use. You’ll also find a flip-switch for stopping the gas. The pump is made of aluminum. The burner is very quick and easy to use. It is very easy to control the flame, as there is a green switch right where the hose is connected to the fuel canister. Nova+ is an upgrade to the previous Optimus Nova model, which was much larger and heavier. This new model is slightly smaller and lighter, thus it can make ideal companion to your backpacking trip. The only thing which may discourage you to purchase this stove is that it’s a bit more expensive than some other compact backpacking stoves. Overall, the stove starts quickly and works as expected. You will still have to keep in mind that cleaning it will prolong its life and keep it in top condition (and won’t fail you while out there in the wilderness). Wire brushes are best, as recommended by most customers. Some customers believe that Optimus Nova+ is far better than some MSR stoves, because it offers great performance and durability. It’s also more compact than other such stoves claiming to be suitable for backpacking. Customer support will be always helpful in case you need them. You can also order fuel canisters from them. The final verdict is that this stove may be somewhat heavier and more expensive than some other stoves but it offers incredible power, stability and total control over your cooking/boiling. 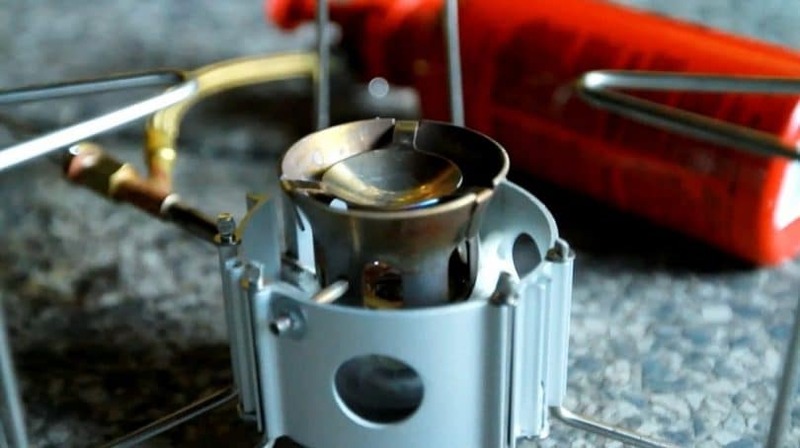 This super-light and compact stove uses any fuel you have at hand. You can use tinder, wood, branches, leaves, and almost anything that is organic and can catch fire. It’s so small that it can literally fit in your pocket (hence the name). It’s entirely made of stainless steel, in Germany. It’s also customizable for any type (small or large) of pots and pans, thus fitting them nicely. There’s no risk a pot is too small and couldn’t be balanced on this stove. Customers are very happy about how quickly you set it up (within seconds) and yet how durable and reliable it feels. There are no rough edges and it’s definitely quality workmanship behind this product. There’s also little risk that it will deform with time. It cleans easily and with little effort. A nice rare feature is the ash tray where you collect the ashes after burning some wood or tinder, but it also acts like a soil protector – it keeps soil from getting in the stove. Several customers share their experience in using this stove. Some went on Arctic backpacking and use this stove in very low, sub-zero, temperatures on medium-high altitudes and claim that you can boil water for about 12 minutes, using dead pine cones. As long as you keep spare fuel, you can have the fire almost at any time you want. It’s a small, reliable, foldable stove and if you have tinder to burn the fire, it won’t disappoint you. The quality is outstanding. 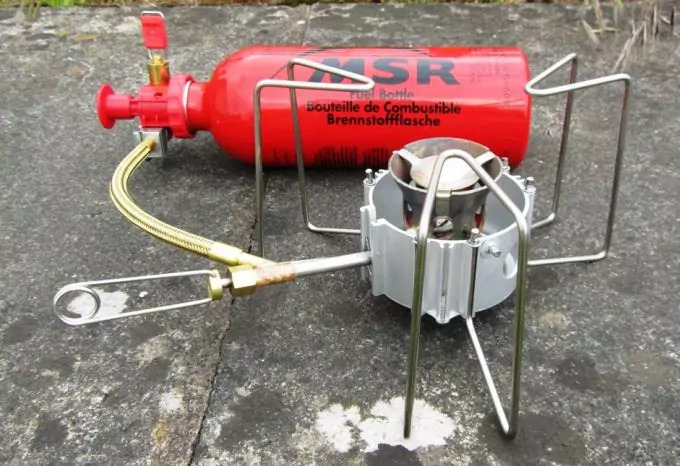 This small compact stove is no just as good as the above, having adjustable valve for flame control, retractable feet and adjustable folding frame. It used any type of single canister with mixed butane-propane and butane. The stove is made of stainless steel, which ensures it will withstand some bumping or rough handling. 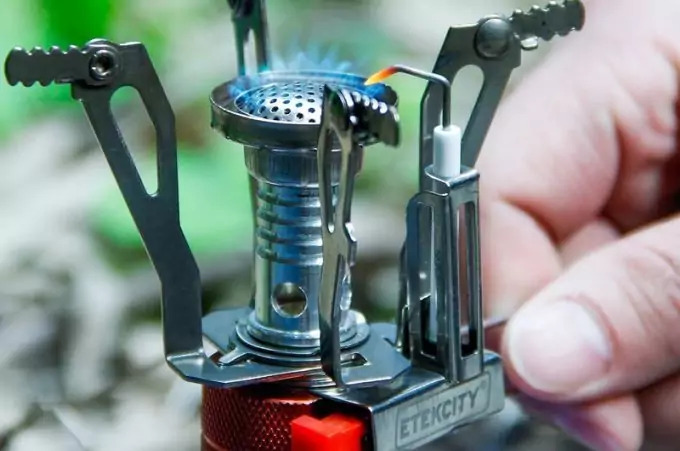 If you don’t like your stove to be hose-connected to the canister, this Etekcity stove is just for you – you can directly plug the canister to the side of the stove and you’re ready to go. This makes it compact and small enough. The stove weighs about 14 oz. To start the fire you have an electric ignition. It supports large pots of up to 12 inches in diameter. What’s also nice is that it’s made to be water-resistant, so it’s suitable for more harsh weathers and moist conditions. The stove itself is stable and whenever you place a pot it won’t fall over, unless you push it. The legs also give it substantial support at the base, so there’s really no risk it may turn over because of a wind gust for example. In this regard, it’s good to prepare wind shields to protect the flames, because otherwise they can easily go off. But after all, this isn’t anything new, since most compact backpacking stoves require shielding from the wind. The majority of customers are satisfied with the service this stove provides as it delivers exactly what the manufacturer advertises. You won’t go wrong to purchase this stove for this affordable price. And you can use it for years. Here’s another Etekcity model, which is also a best-seller and highly preferred among hikers and backpackers. It’s made of aluminum alloy and stainless steel, which gives it endurance. Thus it can withstand the high temperatures of the flames during cooking. You need single butane/propane-butane canisters with mixed fuel. It’s very small and compact and ships with a protective case, where you can place it and then directly in your backpack. It can literally fit in your pocket. It weighs no more than 3 ounces. When you set it up to cook, you can place pots with large bottom with max 18 cm/7 inches at the diameter. It’s ideal for boiling water and light cooking. 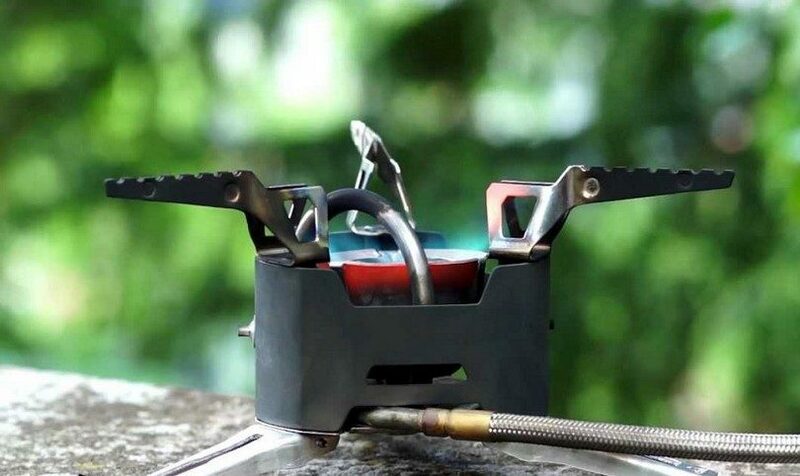 The ignition system is built in the stove, so no need to carry additional ignitor. The flame is well concentrated in the middle, but be careful with larger pots. Although it can support 7-inch pots, you can still easily tip it over. Also, since it’s a compact stove, be careful with how much weight you put on it – it’s not as strong as some other sturdy stoves. Yet, for the modest price, it’s a perfect fit. It’s ideal for beginner hikers, for Boy Scouts, or just having a spare stove in care your primary stove gets broken or doesn’t start. Also, you can easily take it apart if you need to clean it. This is especially useful if you accidentally spill some food on it. Take it apart and just rinse it well. It will be like new. Overall, for this very low and affordable price you can only be amazed at how well this little stove performs. This is yet another MSR backpacking stove, which offers incredible compactness, ease-of-use and weighs as little as 73 grams/2.6 oz. Thanks to the pot supports your pots or cooking dishes won’t fall over at the slightest wind blow. The legs offer additional support at the base of the stove. The WindClip protects the flame from stronger winds. It can effectively bring 1 liter of water to rolling boil for about 3.5 minutes at sea level. A piezo-igniter ships together with the stove. They pack effortlessly in the provided storage bag. Some customers claim that the flame control is easier to manipulate than with the Optimus Crux stove. The MicroRocket is definitely smaller and weighs less than the Pocket Rocket. Most customers are actually much happier with that fact, since the flame control is rarely so well manufactured with other products. The flame can be very modest and small but if you crank it all the way to the max, you can have a large flame to cook you a family meal. The fuel will burn down quickly of course, but that’s the downside with compact backpacking stoves. The only thing to keep in mind with this model is that the piezo-igniter may not always work and some customers claim it’s worthless. It’s definitely an addition to the stove, so if you want a reliable fire starter, prepare another one. 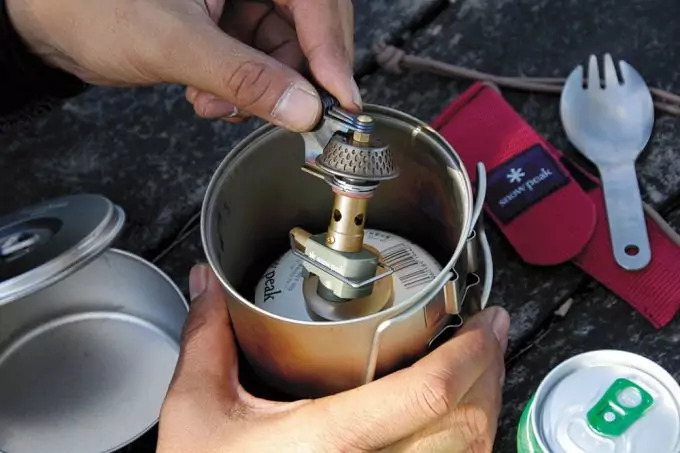 Overall, the stove itself won’t disappoint you and will deliver what it claims – compact, ultra-light, reliable, boils water as quickly as two-three minutes and is sturdy enough to support your pots. This is yet another MSR stove, which has a multi-fuel feature. Thanks to the Shaker Jet, you clean the stove with a single shake and no waste of time. MSR boast about the speed with which this stove burns a liter of water – 2.8 minutes, which is impressive in comparison to other stoves’ performance. You’ll also be pleased with the overall stability of the stove. It has retractable legs and the pot stand offers stable ground for pots and pans of different bottom sizes. It may be a bit bulky and slightly (but not bothersome) heavy (1.4 pounds/635 grams), but it’s nonetheless among the best and most-reliable stoves on the market. Keep in mind that the fuel bottle doesn’t ship with the stove. It can be purchased separately. This stove can also come apart if it’s heavily clogged, in order to clean it, but that may happen only occasionally. Overall, the Shaker Jet will be enough for you to clean the debris. The wind shield is an aluminum sheet, which isn’t something special (and some users don’t see it as reliable enough). You may have to carry safety clip to join the ends. The stove also produces a lot of noise, but that’s to be expected as most multi-fuel stoves are noisy. And bit more on the negative side, the flame control is basically only on or off, which could be a problem if you need precision when cooking a special meal or need to simmer water/soup. If we pay more attention to the positive sides, this stove is heavy duty and stable, plus it brings water to boil in a flash. If that’s all you need, you’re good to go with this one. But if you need more control and precision with cooking or boiling, you may need another stove. 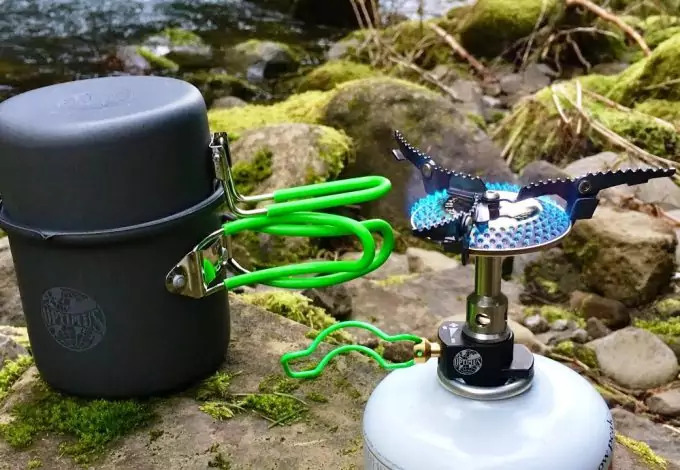 DragonFly is a step-up when it comes to backpacking stoves. It offers much more comfort and reliability, only sacrificing the weight. It weighs 14 oz, but yet, it’s definitely worth the additional grams. It has a duel-valve design, called CoolFuel valve. It’s unrivaled among other products and manufacturers. This means for you that you can control the flame far better and more accurately than with any other stove. The pot supports are wide enough for large pots or even frying pans, yet you can squeeze in even a coffee pot for your morning refreshment. 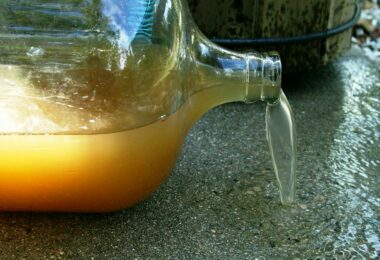 The stove burns on white gas, kerosene and other unleaded fuels. Also, thanks to the JetClean shaker, you can clean your stove with a flick of the hand – just shake the debris or leftovers and they will be gone in seconds. When it comes to the speed of cooking, it’s just as good as with most backpacking stoves. The difference is that the flame is narrow, but that is good because it won’t burn too much of your food or drink at the bottom. 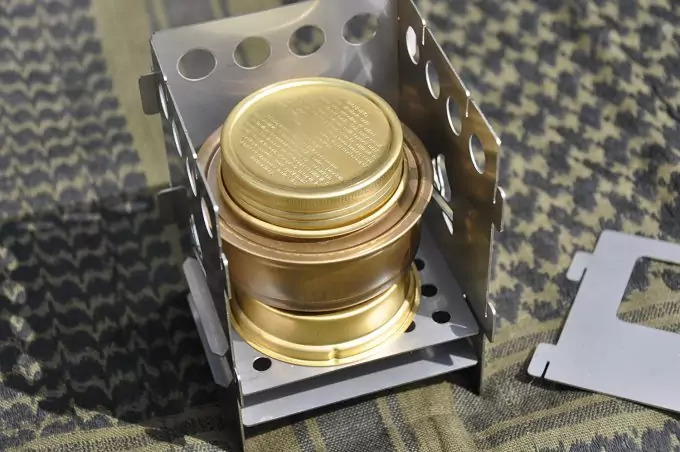 It’s true that the size is somewhat big and could be a bit weighty in comparison to some ultra-light stoves, but you can still make some room in your backpack and still call it a backpacking stove. Many customers tested this in hiking situations and are more than pleased with the performance. The only downsize is the noise. It’s a powerful stove and thus you can be disturbed by the loud noise it makes. Also, if you’re camping with other people nearby, you may feel embarrassed to bother them, so keep that in mind. 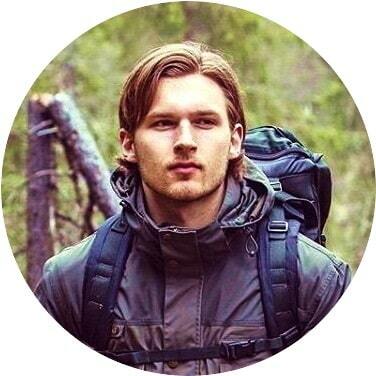 Of course, if you prefer hiking alone and noisy cooking doesn’t trouble you, this is hardly going to be a problem for you. You need to pressurize the fuel bottle and prime the stove. Also, it’s absolutely necessary that you always use the wind and heat screens to protect the stove and the flames from the wind. If you want to cook some meal, this stove is ideal for you. If you plan on only boiling water, better opt for a lighter version. The above stoves are all great and have strong and weak sides, as there is no perfect product. Each stove serves particular needs, but all of them are ideal for backpacking. See our piece on hot ash stoves reviews for more choices. Whichever you decide to purchase, you’re highly advised to first try it in your back yard, before going out there and relying on it for the first time in the wilderness. For more options, see our article reviews of the best camping stoves to suit your needs.